That is amazing crazy!! I have to look for them. Look hard! They’re quite small. That beetle is sitting on a window screen! Pretty cool, eh? I was a little embarrassed that I’d decided it was an ant without giving it any thought and got my ID COMPLETELY wrong (it’s so obvious now! ), but I’m super excited I found something that’s such a great mimic! Very clever disguise, love the antennae! They’re very beetle-like antennae. That should have been a dead giveaway when I saw this, and I completely overlooked them. I had to stare at that for a while. The first thing that said “not an ant” to me was the antenna. Ants always seem to have a sharp bend in their antennae. (Always always? Don’t know, not an expert). Then I noticed the seam along the abdomen. But, wow, is that a neat bug. What does it imitate ants for? Does it imitate a particular species and hide in their nests or something? Staring at it for a while was more than I did, so I completely overlooked the fact that this was not an ant originally. Thankfully, I have a hoard of people who set me straight right away, which is awesome! I have no idea what it imitates ants for. They are pollen and fungus eaters! I am having a hard time tracking down much information about them, so I have no idea whether they go into ant nests. That’s one possibility. Another is that they mimic ants to gain some sort of protection? 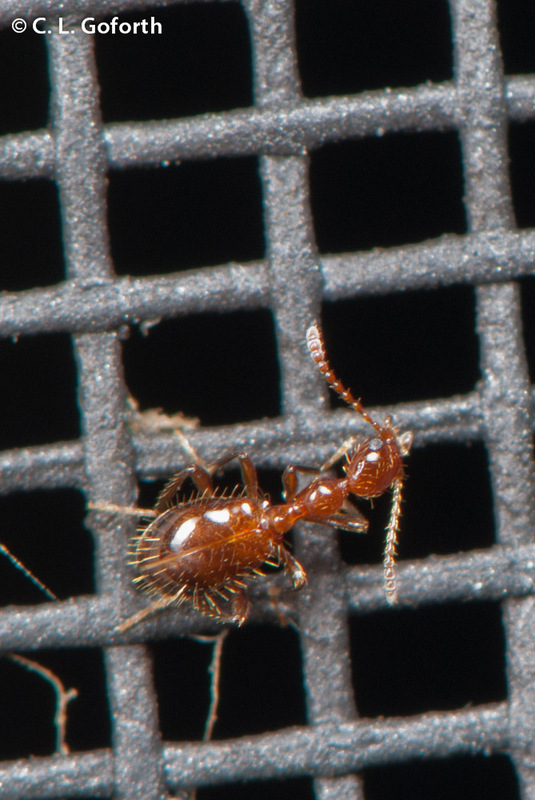 A lot of things don’t like to mess with ants, so maybe looking like an ant is beneficial? I really don’t know though.